Well spotted, Anusha! 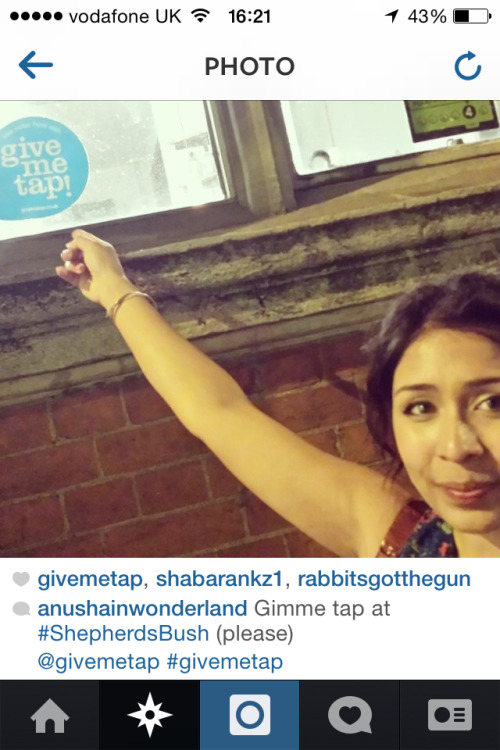 The GiveMeTap sticker, loud & proud in Shepherds Bush. Get your ticket to FREE water refills from hundreds of places like this at »www.givemetap.co.uk/tube!